Saves time and effort every day with SessionCam’s Anomaly Detection and Analytics. Focus on fixing rather than finding the most important website issues to investigate and solve. 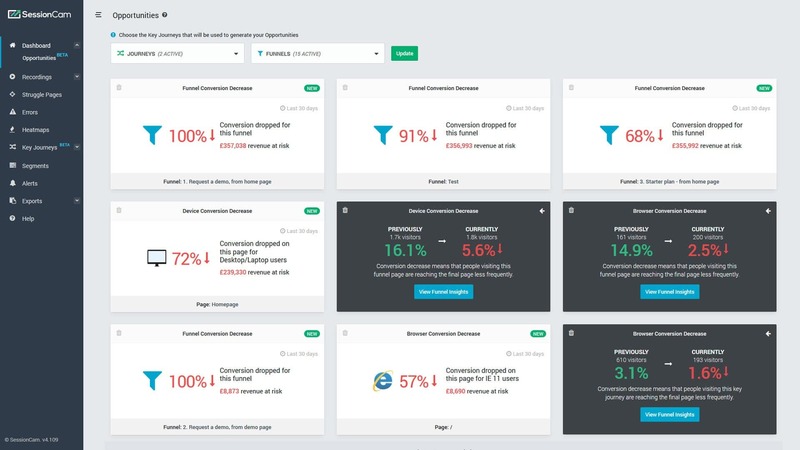 SessionCam’s anomaly detection feature identifies the most important issues for you automatically by generating a daily list of conversion opportunities. The opportunities identified are prioritized by the total lost revenue associated with each issue. This means you can immediately focus on the most costly and important issues. 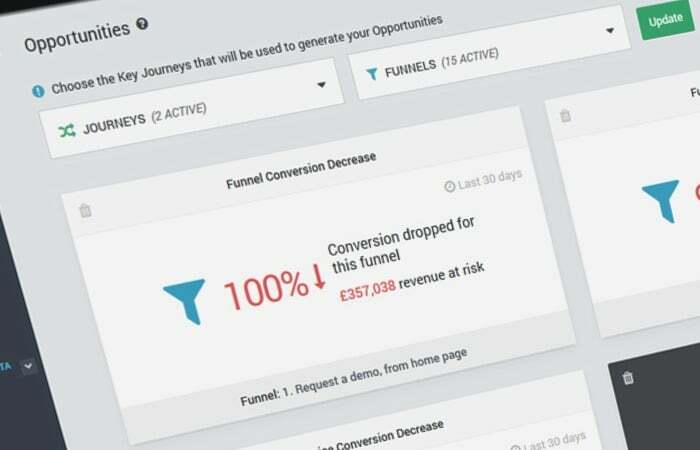 Every day, SessionCam hunts through your conversion funnels, customer journeys, errors and customer struggle to analyse website activity and identify the most significant issues. For a typical, enterprise website, SessionCam will complete over 10,000 checks. Every day. 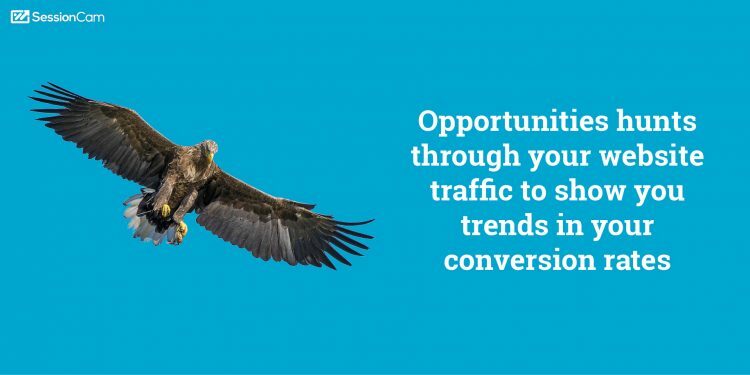 Every conversion opportunity identified is listed with detailed information on the underlying behavior responsible for the issue. Reviewing SessionCam’s automatically identified opportunities saves you time and effort and means you can immediately focus on fixing rather than finding the most important issues. You need to quickly find the most impactful problems with your website as fast as possible. We know that and we’ve built something to help you. It’s called Opportunities and we think you’re going to love it.